This 70-year-old woman experienced right-sided headache and pain over the right side of her forehead, which she had controlled for three days with ibuprofen, until she noticed a rash over the same area. 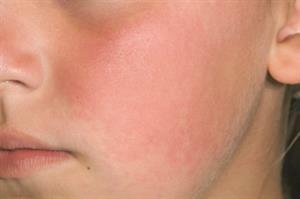 She became more concerned days later, when the rash started to blister. 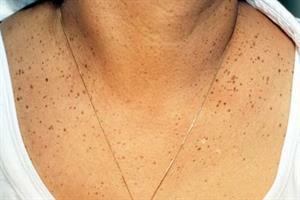 The patient was diagnosed with shingles. Her vision appeared normal, but there was slight inflammation of the conjunctiva of the right eye, so she was referred to the eye clinic for a full assessment. She was started on a course of antiviral therapy and advised to report any change in vision or eye pain as a matter of urgency. 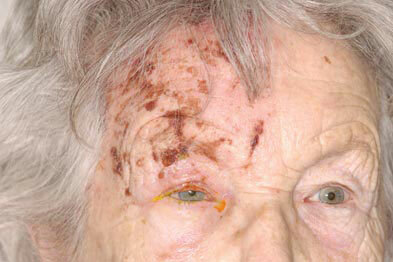 In shingles involving the ophthalmic nerve (ophthalmic herpes), if the pain and rash spread to the side and tip of the nose, there is a risk of serious complications in relation to the eye. It is possible to reduce this risk by as much as 50%, if antivirals, such as aciclovir 800mg five times a day for seven days, are started early. 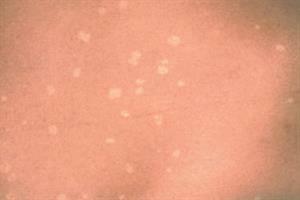 They should be given as early as possible, within 72 hours of the onset of the rash. The area should be kept clean and oral antihistamines can be used to ease itching. Post-herpetic pain may continue for months or longer. 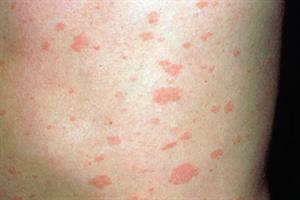 Antiviral therapy helps to shorten the healing time of the rash and reduce the risk of post-herpetic pain by 50%. Anyone who shows signs of eye involvement should be referred. Analgesics such as paracetamol or ibuprofen may suffice for pain management, or additional amitriptyline, gabapentin or carbamazepine, while topical capsaicin can help once the skin lesions have healed.